I'm struggling for some blog content, so I post pretty pictures :) I love the hood over this stove and the pretty blue cabinets. And check out my office for my new internship at a local college. Isn't it lovely? That kitchen is pretty much my ideal kitchen. And your office is gorgeous. Love the trees :) Hope you're absolutely loving it! Oh that kitchen is to die for! I love the blue, too. I am adoring the trend towards colored cabinetry lately. 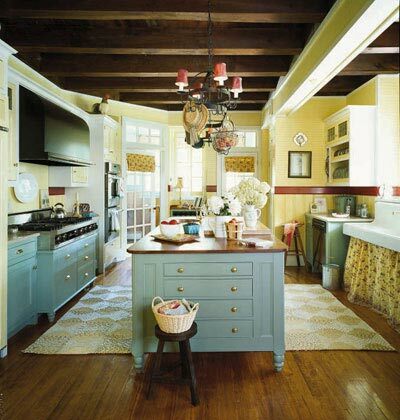 Now, I have and love wood cabinets, but colored cabinets add so much personality!